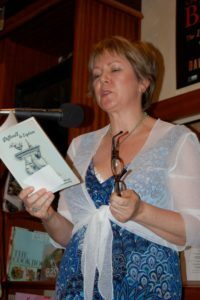 Kerry Hammerton has published poetry in various South African and international literary journals and anthologies. Secret Keeper her third poetry collection was published by Modjaji Books in 2018. Her previous collections are The Weather Report (2014) and These are the lies I told you (Modjaji Books 2010). 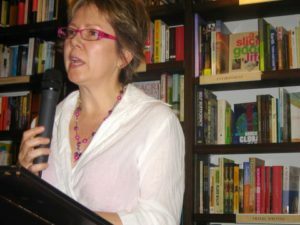 Kerry has read her poetry at the Cape Town Book Fair (now called the South African Book Fair), The Franschhoek Literary Festival and the McGregor Poetry Festival. She also ran a Creative Writing weekend for the McGregor Poetry Festival. She is a tutor for the Masters in Creative Writing at Rhodes University. 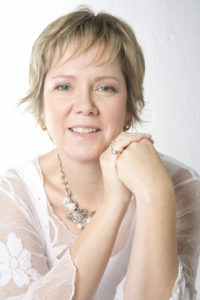 Kerry is the co-author of the self-help book Sugar Free (Jonathan Ball 2015), Suiker Vry in Afrikaans. She has an MA in Creative Writing with Distinction from the University currently known as Rhodes. The idea of writing down my own poetic statement has intrigued me for awhile. I thought of it as a poetry manifesto, something that answers the question: what is my poetic voice? My poetic voice arises out of the roles that I play in life: woman, friend, lover, wife, daughter, godmother, aunt, writer, poet, carer, seeker. My poems are about my identity and my experience within these roles. I mostly write about romantic relationships: falling in love, falling out of love, being in love. I write in a straight forward manner, often with a twist of humour. At times I wish I could hide behind the artifice of a deceiving and deceptive language, a soft language; but that is not who I am. My language is simple and unerring. I like to step cleanly into a poem and it’s meaning. I suppose I could also be called a ‘confessional’ poet – writing about my life, my experiences. But not every poem is true. In other words some of the experiences in my poems are fictionalised, imaginary, made-up. I write as the observer – of my own life and of other people’s lives. I could be described as a lyrical poet, a personal poet – in that my poems are concerned about and involve my thoughts and feelings. Whatever ‘kind of poet’ I am, whatever genre I fit into, I do know one thing – this urge to write comes from somewhere deep within me. Now I am going to be late.